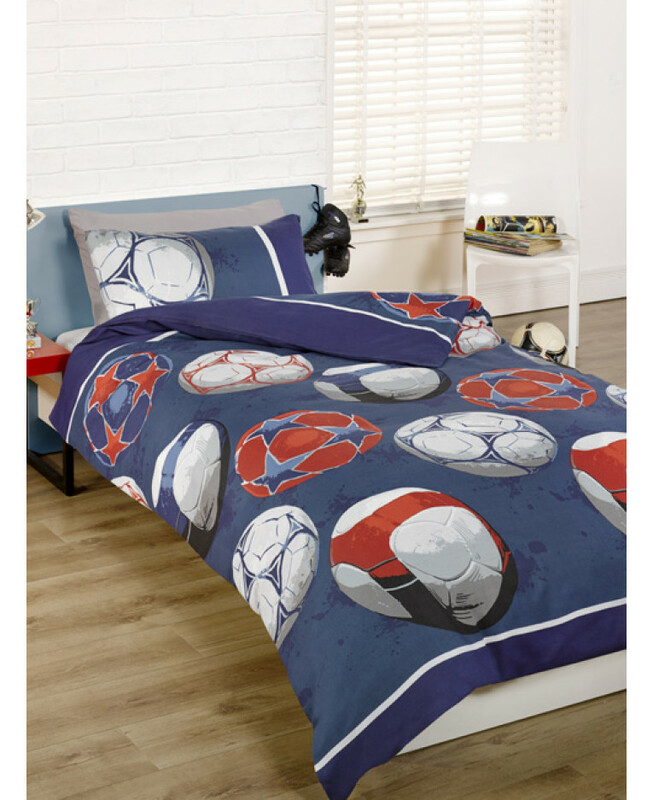 This Single Duvet Cover and Pillowcase Set is perfect for football fans. The design features a collection of footballs in blue, white and red on a navy blue background. This item is suitable for machine washing and tumble drying. This design is also available in red.